Wee Cho Yaw, Singapore 6th richest man, owns these large and well-known listed companies, and more. Wee Cho Yaw is listed as the sixth richest man in Singapore, with a net worth of close to $5.8 billion. He is most well-recognised as the chairman emeritus of United Overseas Bank (UOB), which his father co-founded in 1935. Besides UOB, Wee Cho Yaw also owns diverse stakes in other private and listed companies. 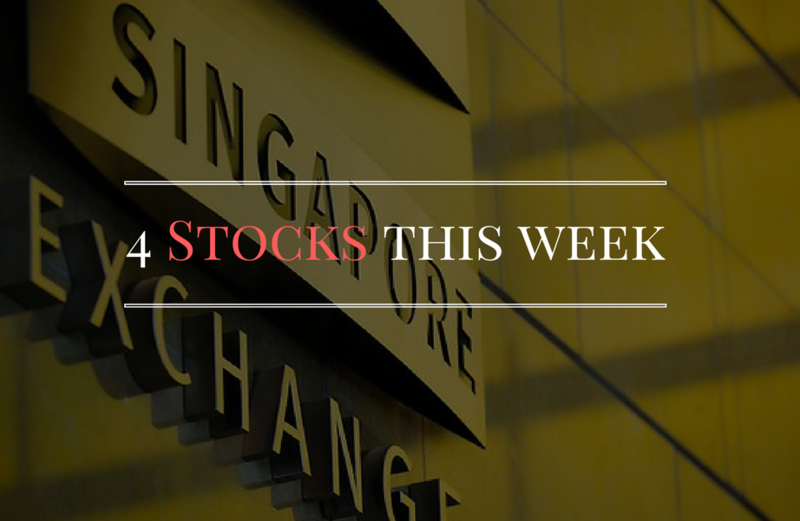 In our 4 Stocks This Week Column, we take a look at four other listed companies he has a stake in. They include, United Overseas Land (UOL), United Overseas Insurance (UOI) and United Industrial Corporation (UIC). In addition, his holdings in these four companies also gives him major stakes in several other listed entities such as UOB Kay Hian, Haw Par, Singapore Land and others. With a market capitalisation of close $46.7 billion, UOB is the third largest bank in Singapore. It has listed subsidiaries in Indonesia, China, Malaysia and Thailand, as well as associated companies in UOB Kay Hian and Haw Par among its other related companies further down on the list. During its recent first quarter results announcement on 3 May 2018, the group reported a total income of $2.2 billion, which was 9% more than the year before. Its net profit came in at $978 million, or 21% higher than a year before. In year-to-date 2018, UOB’s share price has increased close to 5.5% to $28.10 as at 1 June 2018. Looking further back, in the past 52-week period, UOB’s share price has soared close to 24.8%. However, in the past week, its share price has fallen nearly 4.2% from $29.33. The Group has extensive property development capabilities in Singapore, China and the UK. In Singapore it acquired two major plot of properties in the east for close to $357.1 million in 2017, which will be developed into high quality private residential apartments. Its hotel subsidiary Pan Pacific Hotels Group Limited owns and/or managers over 30 hospitality properties in globally under the “Pan Pacific” and “PARKROYAL” brands. In its recent first quarter results announcement, it reported an 89% increase in revenue to $661.0 million. Its also announced a net profit of $73.8 million, which was 8% lower than the year before. Since the start of 2018, UOL has seen significant share price has decreased by close to 9.3% to $8.10. This can also be put down to a good run in the past 52 weeks, which sees it sitting on gains of over 16.7% today, despite the 9.3% sell-down since January. In the past week, its share price has declined 3.5%. Read Also: Property Lovers In Singapore: Invest Via Condos, REITS Or Real Estate Companies? UOI is the insurance arm of UOB, and engages in the business of general insurance and reinsurance. In its first quarter results announcement on 23 April 2018, it reported a 6.1% decline in gross premiums underwritten to $27.2 million. It also reported a net profit of $4.5 million, which was 35.5% lower than the year before. Since the beginning of the year, UOI’s share price has slipped 4.6% to $7.02. In the past 52-weeks, it has delivered a good return which stands at 33.5%. In the past week, its share price has slipped 5.1%. Incorporate in 1963, UIC is in the business of property development and investments, which saw it acquire a majority stake in Singapore Land in 1990. The group is also in the business of providing systems integration, IT services, payroll software, HR outsourcing services via its UIC Asian Computer Services subsidiary and owns Marina Square shopping mall via its Marina Centre Holdings subsidiary. In its first quarter results released on 27 April 2018, it reported a 37% decline in revenue to $165.7 million and a 3% increase in net profit to $69.5 million. In the year-to-date 2018, its share price has declined 3.3%. In the past 1-year period, its shares has delivered a return of 2.8%. Within the recent week that just past, its shares has declined 1.2%.